The decision wasn’t nearly as tough as I thought it would be. It crept up on me every now and then, but it wasn’t until it hit me really hard that I knew this is the best choice right now. I have decided to not book any more weddings until April of next year and get myself a part time job for the Fall, Winter, and early spring season. But even that might change depending on how much time off I will need. I need this break the most right now because I noticed myself changing in my business. I changed in my blogging, my bookings, my photography. The kind of change that I am absolutely not proud of. My blogging became a chore, something I felt obligated to do. I had to force words out on paper and there was no emotion behind it. I hated that, that thing that I became. I felt like there was no way out of it. Until now. This is just the beginning… To a very new chapter. Something pretty incredible and I’m absolutely thrilled to finally be able to share this with you guys. A few months ago I was asked to be a part of a pretty amazing project. We traveled six hours one way for it a couple times a month and it was worth every mile. We were working on an Asheville Calendar of historical buildings and we were working on it hard. We first started by walking around town and taking the pictures, then doing the layout, getting it copyrighted, later printing, and finally selling it to the local shops. My job however was just taking the pictures, doing the layout and making it work. The idea first started when a lovely couple went about Asheville looking for a historical calendar to send to their mother for her birthday. Not finding a single shop that sells them, their search continued on to visitor centers, and later online. Still not finding one, they were told by a sales lady that they’d make a good amount of money if they made one and started selling it. They didn’t hesitate, with that idea they took out their camera and started shooting every building they felt was important. But that ended up with them calling me and asking if I could do that part for them… Of course I couldn’t decline. Boy, am I glad I didn’t, it was one of the best projects I’ve done so far! I’ve become somewhat of a blogging slacker… If there’s even such a thing. Then again you’re not a slacker if you have a perfectly good explanation for not doing something… So the title stands blank until I figure out what exactly it is that I’ve become… I know many have been waiting oh, so, patiently for this wedding and I’m thrilled to finally be able to share it with you guys, and hope for the best from it. Alice and Steele may you be greatly blessed in your marriage! God has some incredible plans for you and everyone can see that you two are whiling to go only by His will alone! I am greatly honored to have documented your love on a glorious day! We will all miss you when you leave to Ukraine for your missionary trip! Now begins the most amazing time of your life… Married life! I’m not a big caller… In fact even when I need to call I text or email instead, it just makes it so much faster and simpler. So I emailed her. And knowing my mother she called back, like she always does. I sent her an email about apartments. A few craigslist pictures of some places we were considering moving to. Over the phone I could tell she liked them so. She kept oowing and awwing. I sent her more and more and that went on for about 20 minutes. After I thought the conversation was finished we hung up and went to do our usual things. Half hour later… My phone rings and says it’s my Mommy calling. I thought fast what it could be since I just talked to her and picked up without having the slightest of a clue. I could hear the urgency in her voice. She blurted out before saying hi, how we can’t move to the near by city. (For everyone’s information the apartments were located in the next closest city to us and were about half hour away from HER house. Right now we live 15 minutes away.) I asked why we couldn’t move there, because the last time I checked we were very much allowed (conversations such as this one, prove to me that I really don’t know her as well as I think I do). She abruptly replies that she’ll never see us but once a year! That made me laugh out loud. I understand moving across the world, country, or even outta state, but moving 15 minutes further than what she drives now to see us is rather funny to think she wont be seeing us but once a year. I was debating all day whether or not I should post a sneak peak and finally decided on that I probably should… That is all. It’s unusual for me to oversleep a date, meeting, etc. But today I reminded myself how imperfectly perfect I am and didn’t wake up but five minutes before having to be at a cafe. I promise, that’s VERY unusual for me. But to be honest if I wasn’t awakened by the phone call I would have made it there way later. So we finally were able to sit down and start brunch… You know since breakfast is too early and lunch is too cliché, we settled for the middle like average Jo’s. This brunch was rather special to me, mainly because the person I was with is so dear to me in every way and our meets have become so irregular, it was nice to catch up. This meet was so extremely educational I thought I’d catch you all up with what was happening to me this past week that I haven’t blogged. The Details :: The little things that play a role in my life. The Taken-while-Driving :: Reckless but worth every shot! The Subie :: The many many stages, faces, and beings of my dog! The Other People :: The other people that are so dear to me. The Feet :: I’ve had a latest obsession with taking random pictures of my feet, hope you don’t find this weird. A bride wants your attention + Learning to leave your devices at home! Example number one :: (Probably the only example you really need but just incase you need another it’ll be below) A point-and-shoot camera, droid, well even an iPhone for that matter isn’t exactly capable of taking a picture in dim light without using flash. So you have all these flashes going off at exactly the same time the bride is walking down the isle, or even better for the first kiss and the photographer that was hired for the job (to make sure every picture is taken) is having all of his/her images ruined by the thousand different flashes going off! That’s being annoying at a wedding and a major no no as a guest! Example number two :: (A way to really disrespect the bride and you don’t want to do it) After you use your nifty device to take the hundred-so pictures what do you do next? You go and flip through them, right? You know, to make sure you got “the one” or just to look and show the buddy sitting next to you. Well that’s one, two, three, four heads that are looking down and not paying the slightest attention to the ceremony or bride and groom. That is very disrespectful to the couple. And while you’re sitting there thinking the bride doesn’t see you not paying attention, the photographer goes and snaps a picture of you with your head down laughing at your camera. I bet that’s an embarrassing and awkward moment in the future when you’re sitting next to that bride and flipping through all those pictures. Bottom line… Just leave all your flashy devices at home and kindly ask the bride and groom for the gallery of all the images after the wedding. That way you don’t miss anything during the wedding, you’re not busy running around flashing your camera and ruining the photographers pictures, and your relaxed… Which makes the bride relaxed! 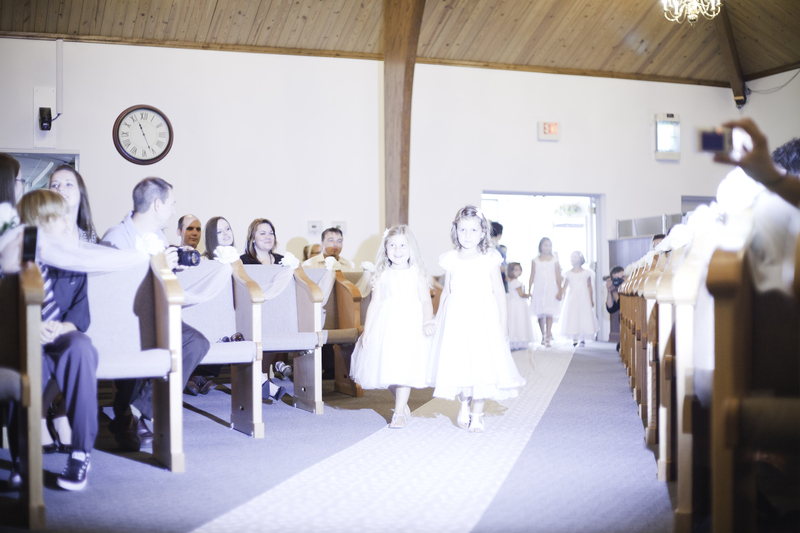 Here’s what I’m talking about, a couple out of 57 images that were ruined from a recent wedding….. I said a quick prayer and the first thing that popped into my head was to call Vitaliy. And that’s what I did. 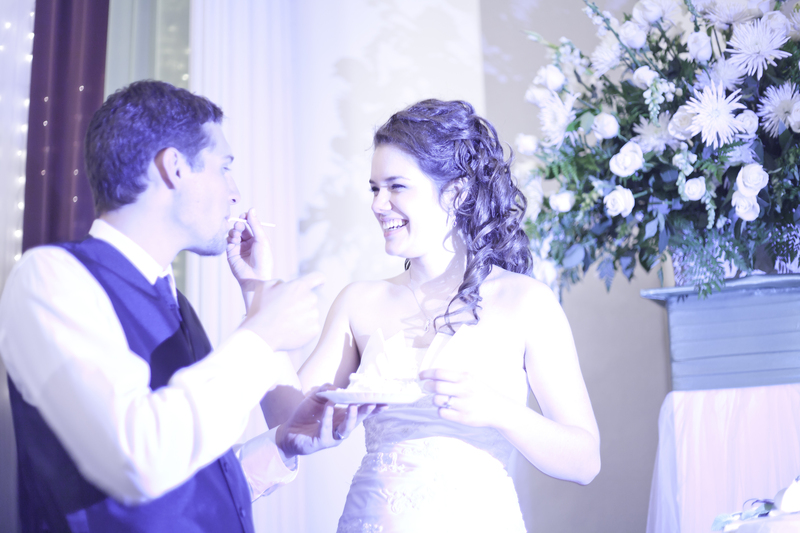 I now look back on that day with a smile because I know the meaning of communion, marriage, and spouse. I know why it’s good to be alone, but better to be married. Why you’re stronger with a help mate. Why nothing makes sense without your husband or wife. Why you should spend more quality time together with your spouse, not alone with your friends, separately. Because if God intended you to marry that special someone, he wants you to be together at all times, because you’re stronger, wiser, and complete that way. It turned out there was nothing wrong that day. After a five minute talk with my husband, he assured me everything was fine. He didn’t lie to make me feel better. You see when you’re sleep deprived, you start to make things up. You see things that aren’t there. You worry for no reason. You panic and feel guilty just because. I barely remember what I thought was wrong that day. What I do remember is the sweet, soothing, assuring voice of my husband on the other line. He helped me to see, to stop worrying, and get back on my feet. He promised me he will make me smile when I got home. What a blessing it is to not only have a spouse, but a best friend who cares, helps, and loves you with all of their hearts. When I got home that day, he sat me down, told me to close my eyes and relax. Not to peek. I didn’t. I heard him open the drawer and after a few seconds I felt a cold metal chain around my neck. It wasn’t the surprise present that made me smile though, it was the thought that I have an amazing husband who is whiling to help me through my rough patches. The necklace was perfect with two sides to it. One saying LOVE and the other saying HOPE. He said so it reminds me at all times that no matter what, he loves me and no matter what, I shouldn’t loose hope… And so I smiled.